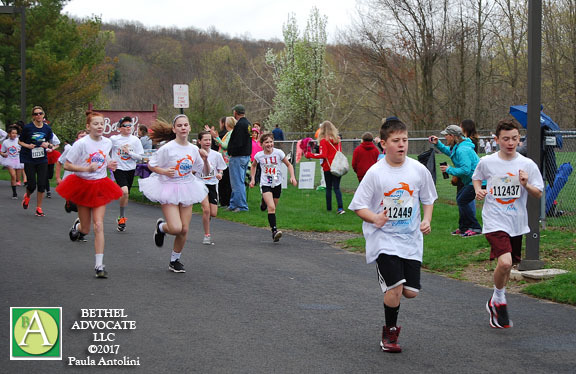 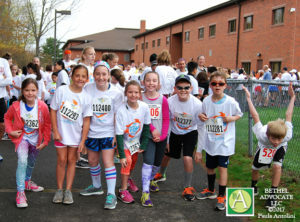 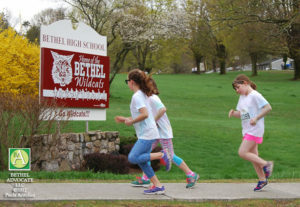 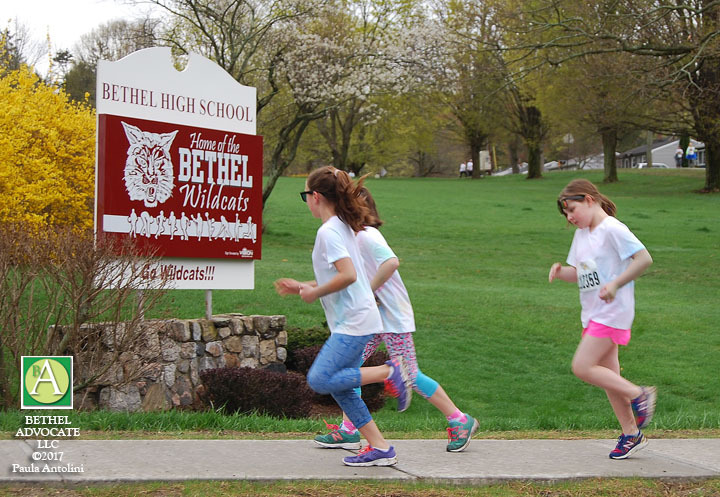 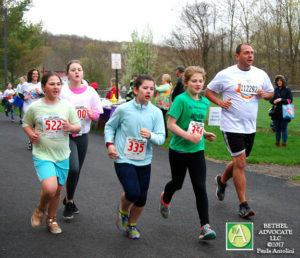 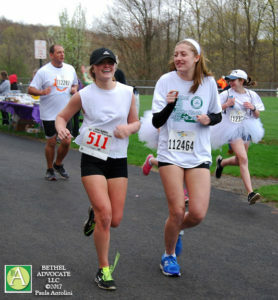 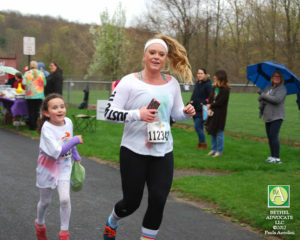 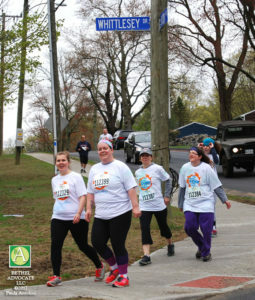 VIDEO/PHOTOS: Were You ‘Spotted’ at the Bethel Middle School 5K Color Run and Bethel Earth Day Event Today? Mother Nature poured her bounty of rain upon event participants, appropriately so though, as we celebrate “Earth Day” and appreciate all that comes from the earth and sky, on April 22nd. 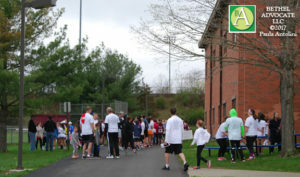 Check-in was at 7:30 a.m. and the 5K run started at 9:00 a.m. 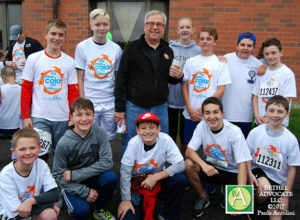 They received a race bib, color packet, t-shirt, water and a healthy snack, if they signed up before 3/20/17. 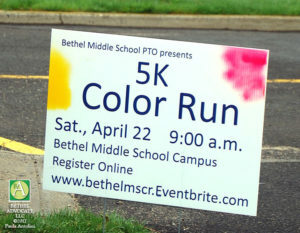 People who register after 3/20 wore a white shirt and could purchase additional color packets at the baked goods table. 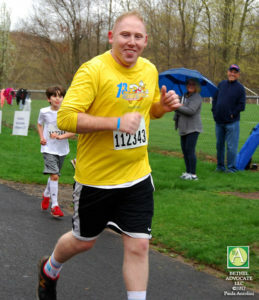 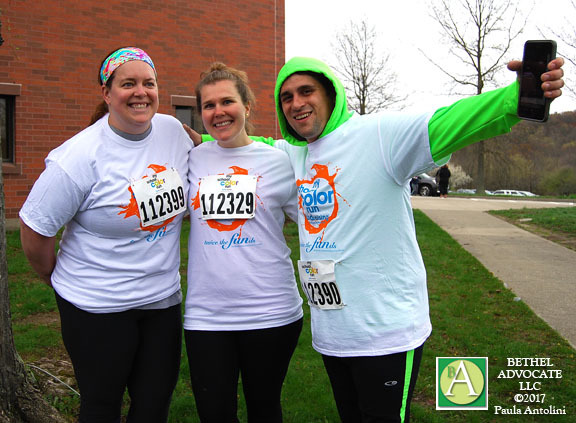 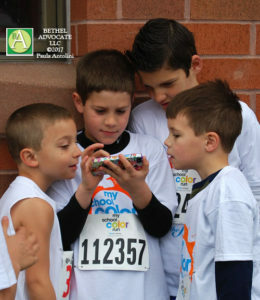 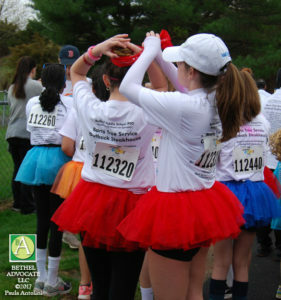 Several hundred people, young children and adults, ran in the 5K race. 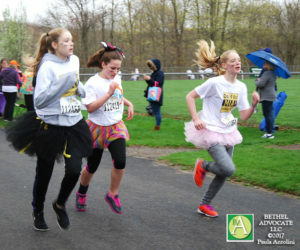 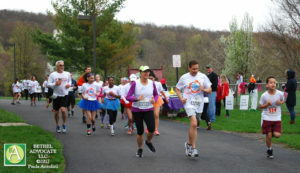 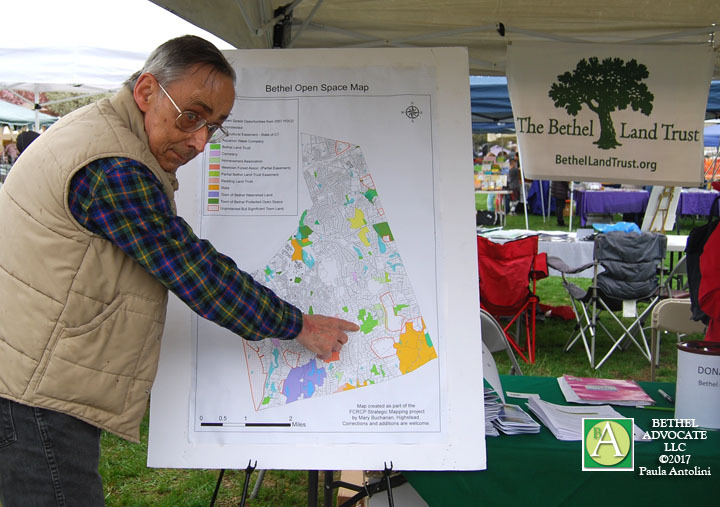 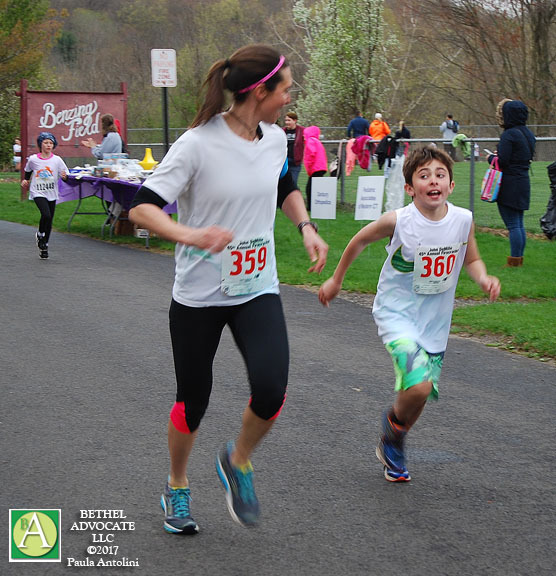 The event is an un-timed fun run/walk featuring a 5K cross country course that began at BMS and wound around the Bethel Public Schools Educational Park complex. 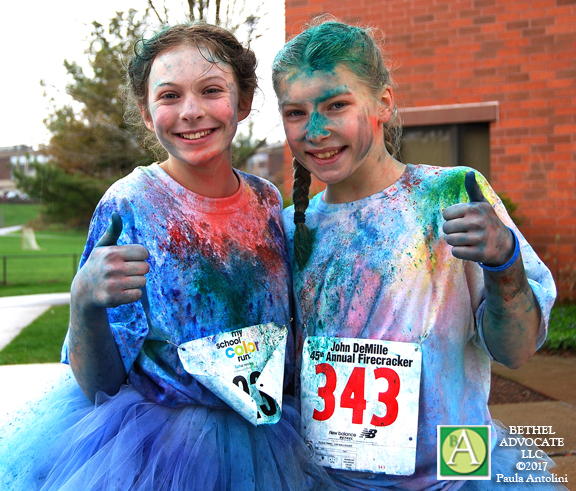 It ended back at BMS with a final “color toss” on the grassy field, where participants were covered in colorful chalky dust. 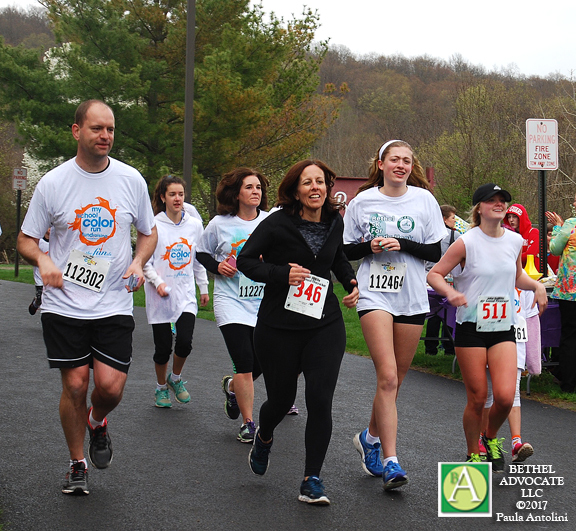 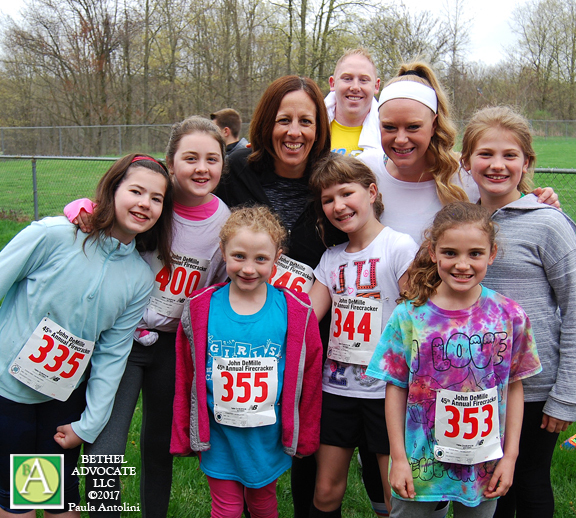 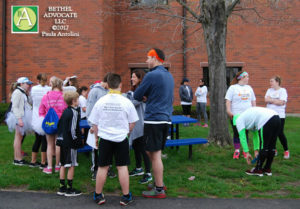 Photo: Dr. Christine Carver, Superintendent of Bethel Public Schools (center, in black) with young runners surrounding her, before the start of the BMS 5k Color Run, along with CT State Representative Stephen Harding (top center, yellow shirt) and his wife Kelly Harding (white headband) on April 22, 2017. 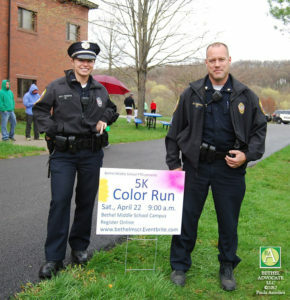 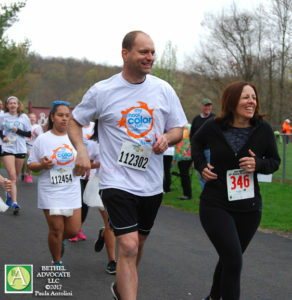 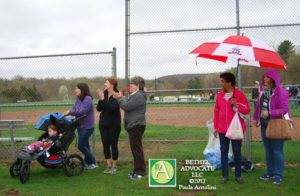 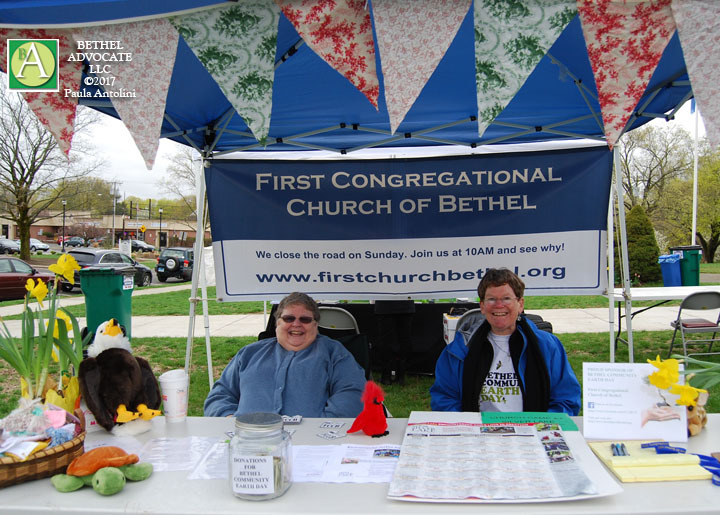 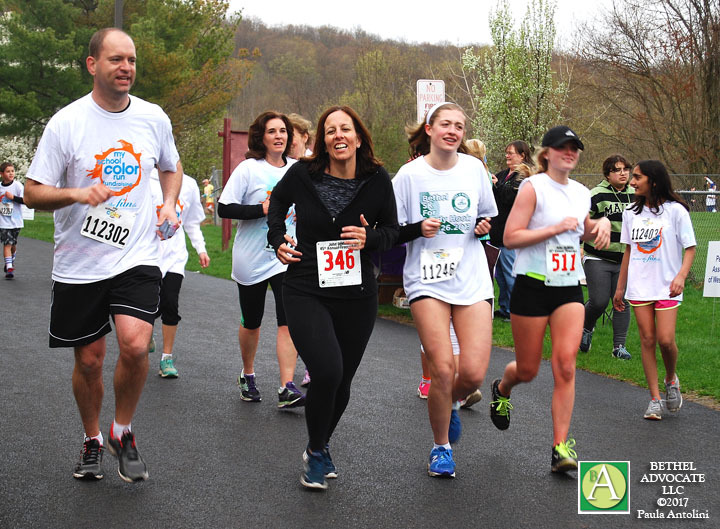 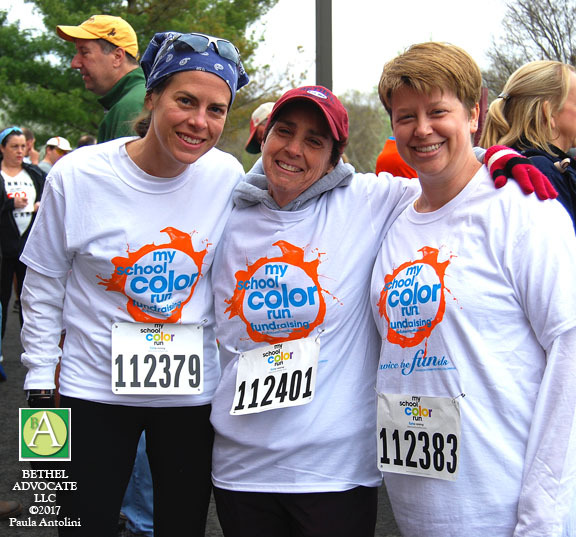 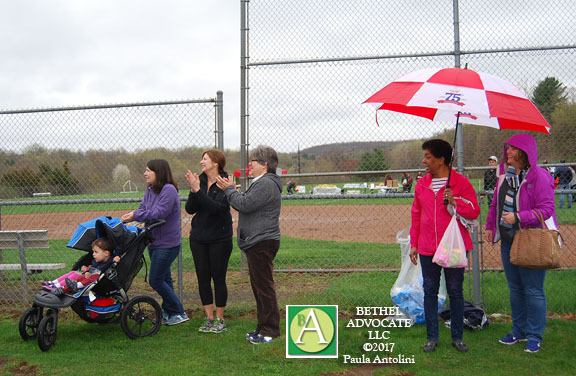 “Spotted” at the event was Dr. Christine Carver, Superintendent of Bethel Public Schools, who ran the 5K course. We also “spotted” First Selectman Knickerbocker, not running today, but he was cheering on the participants. 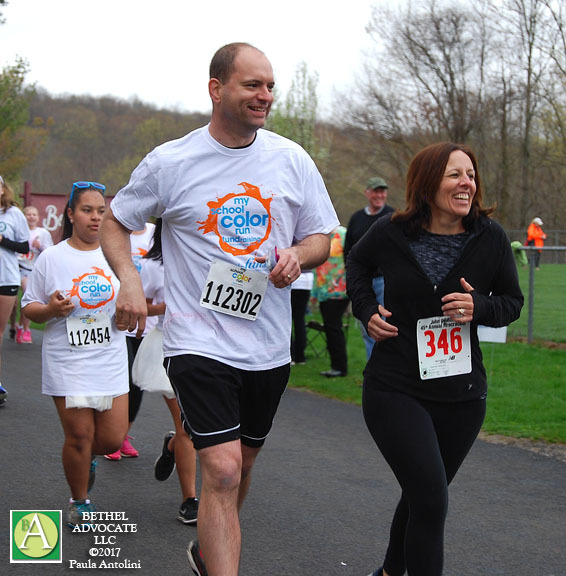 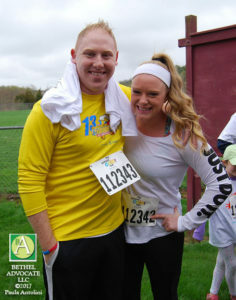 CT State Representative Stephen Harding and his wife Kelly were “spotted” too, and they are avid runners in many local races. 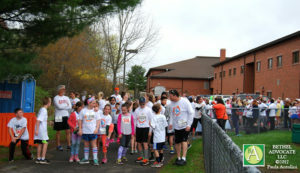 Hundreds of parents and children enjoyed the race too. 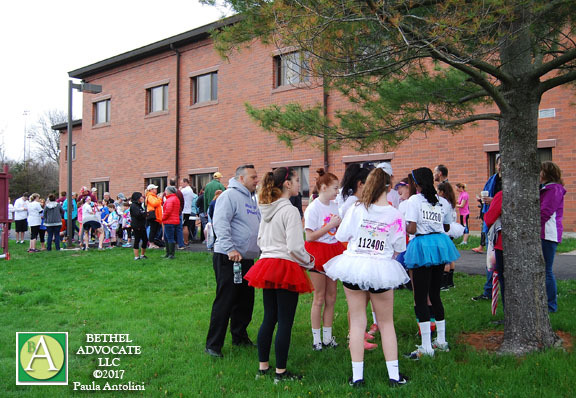 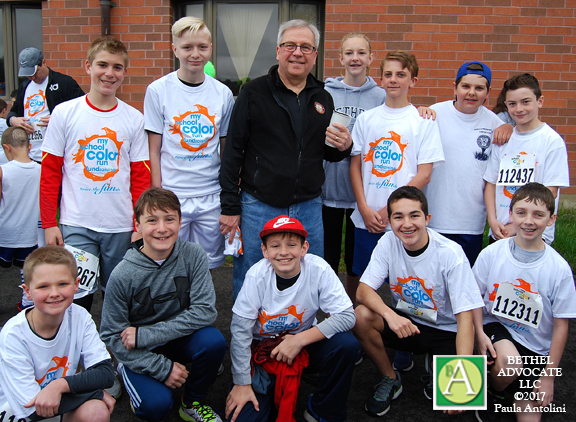 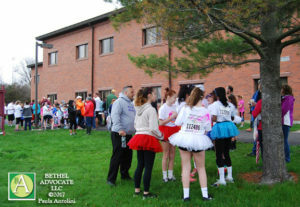 Photo: Bethel First Selectman Matthew Knickerbocker surrounded by runners before the BMS 5K Color Run on April 22, 2017. 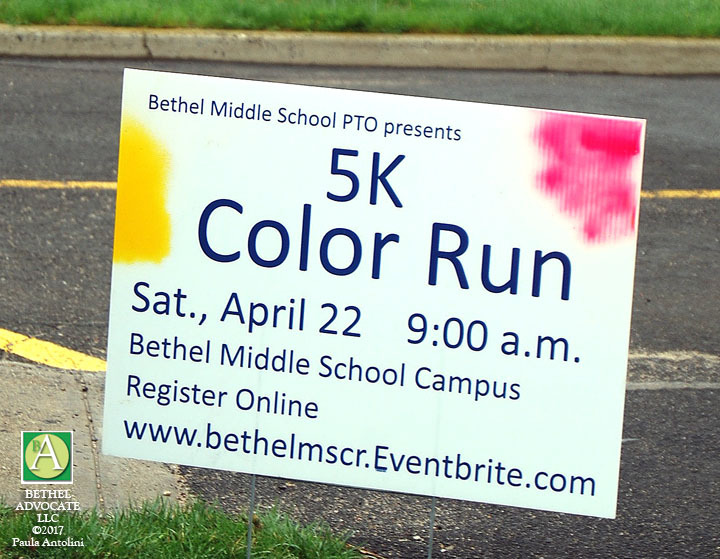 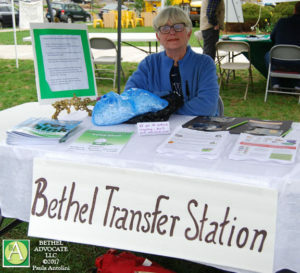 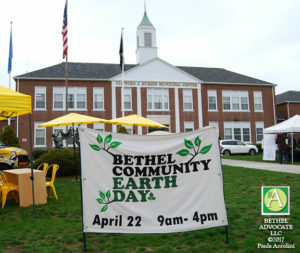 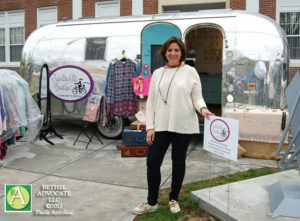 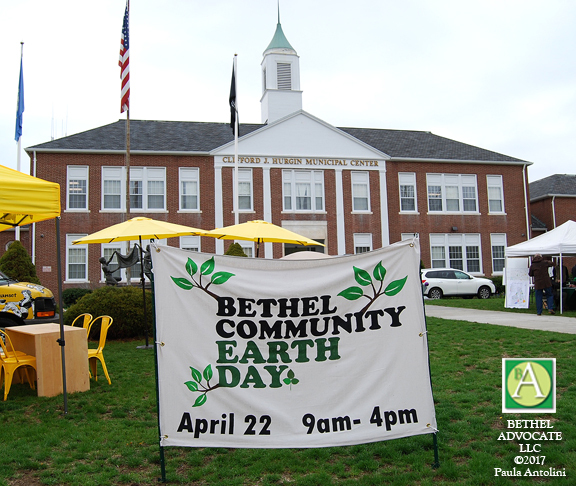 Proceeds from the event benefit Bethel Middle School 7th Grade Nature’s Classroom trip. Nature’s Classroom gives students and teachers the chance to experience education from another perspective, outside the walls of the classroom. 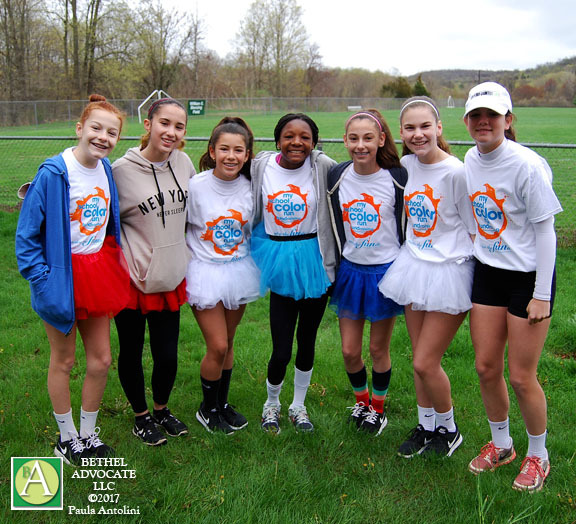 After spending 5 days here, living and learning together, students develop a sense of community, a confidence in themselves and an appreciation for others that carries over to the school community. 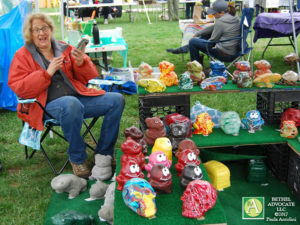 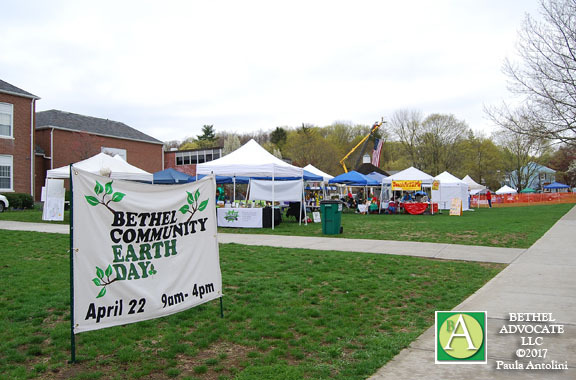 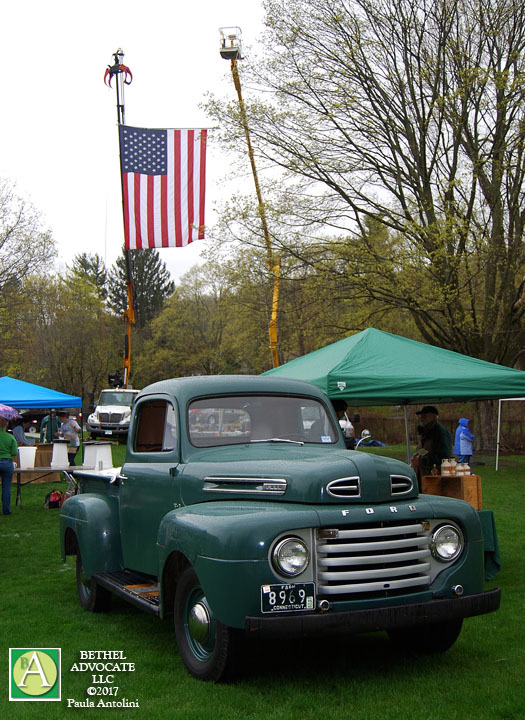 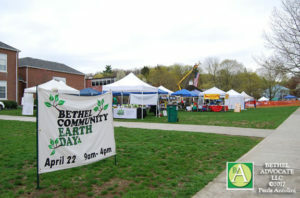 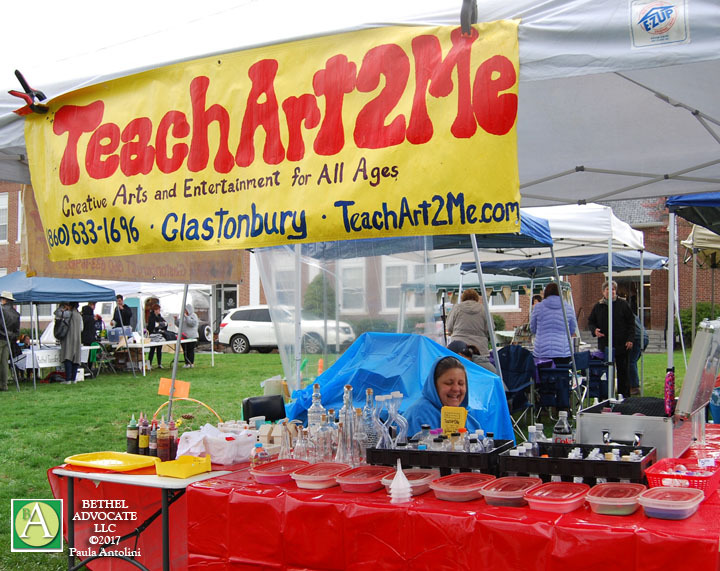 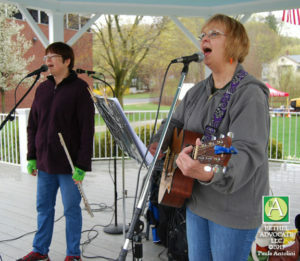 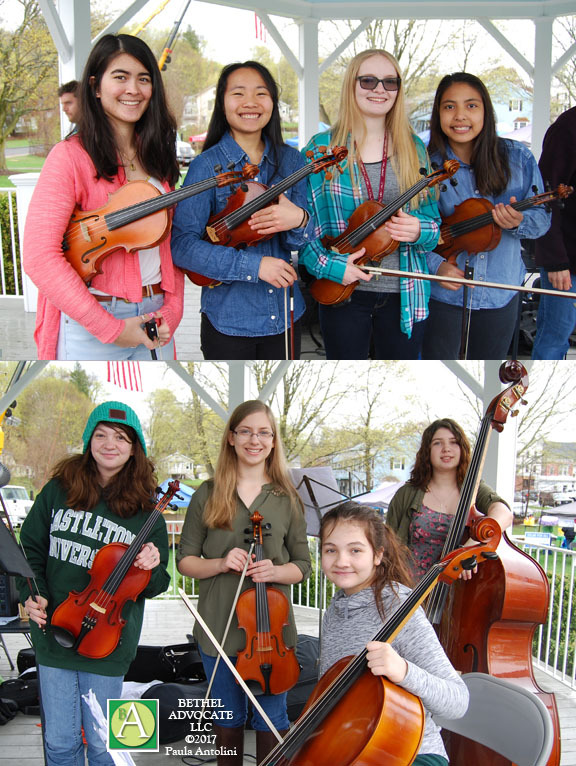 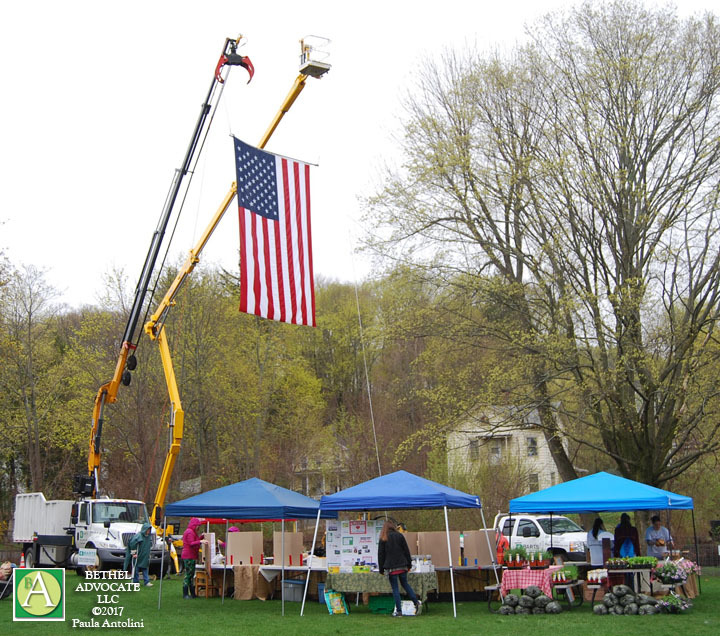 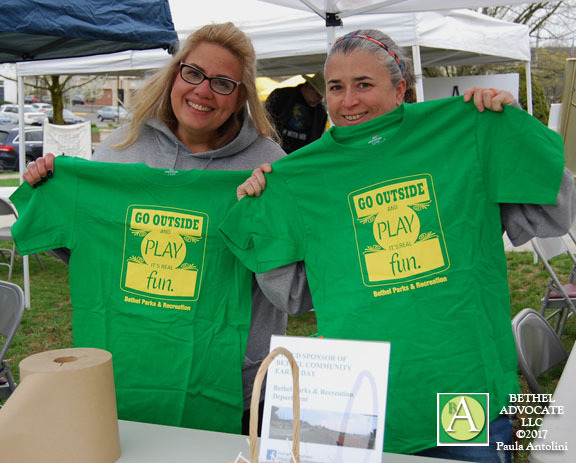 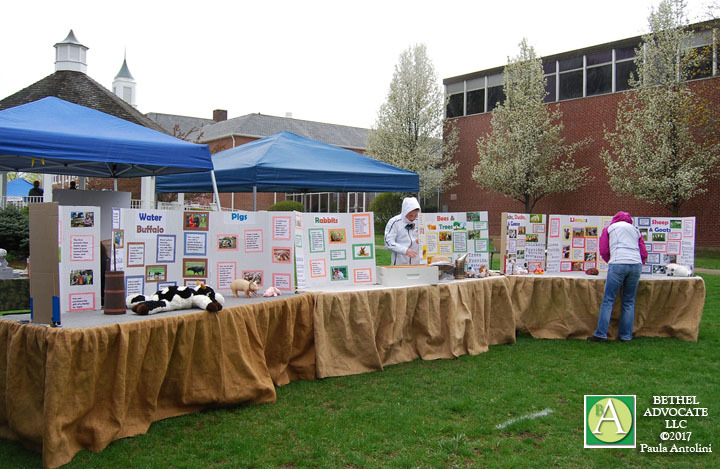 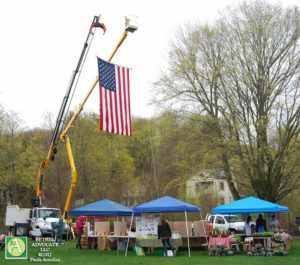 The Earth Day celebration was a bit subdued this year as the weather kept many people away, despite many vendors on display on the CJH Municipal lawn. 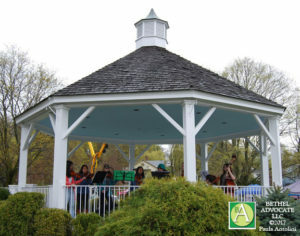 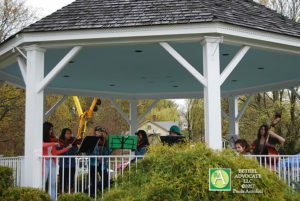 But the music was lively in the town gazebo, nonetheless, with several musical performances. Some members of the Bethel High School (BHS) orchestra performed several classical music pieces, which sounded wonderful.